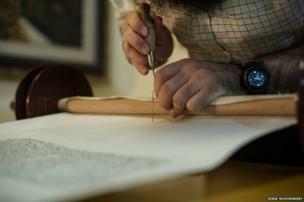 The ancient art of writing a Torah scroll, the holiest object in Judaism. 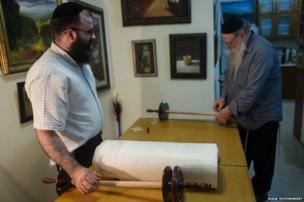 A Sefer Torah, or Torah scroll, is the holiest object in Judaism. It comprises the five books of Moses and must be written by a specially trained pious scribe called a Sofer Setam. 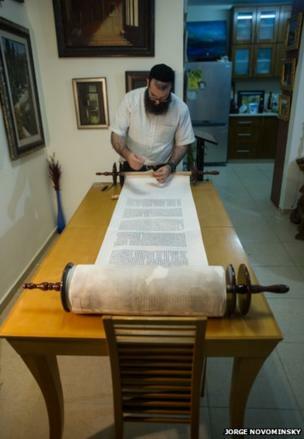 Torahs in use in synagogues around the world today, and throughout the centuries, have been written in the same way as the first Torah scroll was written by Moses, according to Jewish tradition, about 3,300 years ago. 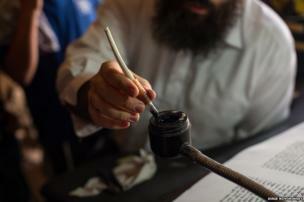 The process takes about a year because a Torah is entirely written by hand, each of the 304,805 letters inscribed with a quill and specially prepared ink. 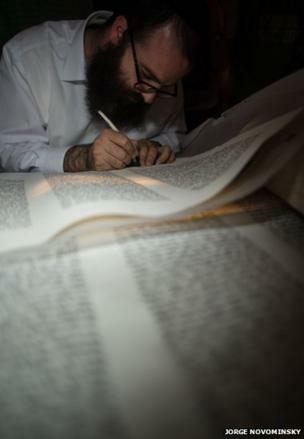 Rabbi Louis, a Sofer Setam, writes Torah scrolls in his workshop at the synagogue in Masada - the ancient fortress where some 1,000 Jews are believed to have committed suicide to avoid capture by the Romans in the first century AD. By simple definition, a sofer is a copyist, but in their religious role in Judaism they are much more. 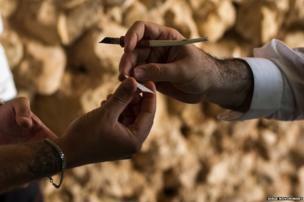 The scribes are skilled calligraphers who work in a traditional way. The letters are written on specially prepared parchment known as klaf, made from the skin of a kosher animal - goat, cattle, or deer. 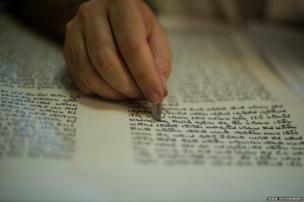 A sofer must know more than 4,000 Judaic laws before he begins writing a Torah Scroll. He has to be very careful, because even a single missing, damaged or misshapen letter invalidates the entire Sefer Torah. After the end of the writing, the scribe reads each page and, where permissible, fixes letters with a razor blade. 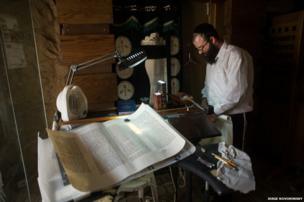 The Torah is made from many sheets of parchment that are sewn together to make one very long scroll. Masada is one of Israel's most popular tourist sites and Rabbi Louis' workshop is visited by tourists every day. The rabbi dedicates a letter to each visitor and gives out blessing written on a piece of klaf. 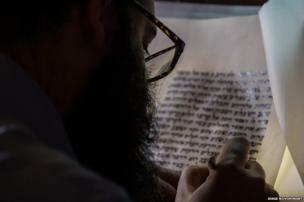 Like most scribes, Rabbi Louis learnt this art from his father, who learnt it from his father. It is a profession that passes from generation to generation. Rabbi Louis finishes the scroll with the help of his daughter, who is the same age as he was when he started to learn the craft.